The international trade fair for the cleaning industry will be held from 10–12 May 2017 in Tampere Exhibition and Sports Centre. The most significant cleaning industry trade fair in the Nordic countries displays the latest innovations and solutions, offering entire cleaning industry the opportunity to cultivate up-to-date skills and knowledge. Changing underlying conditions, digitalisation, preparedness for epidemics, and new working methods form the core content of this year’s fair. The Cleaning Industry Professional final will be held on Friday 12 May. This year there are a record 154 exhibitors at the event, from six countries. Digitalisation, automation, and robotics are affecting the cleaning industry also. These and other themes have been the focus of the Finnclean fair since the first fair was held, in May 1981. Among the other key topics of the fair are indoor climate, the latest technology and tools, and updating of professional skills. 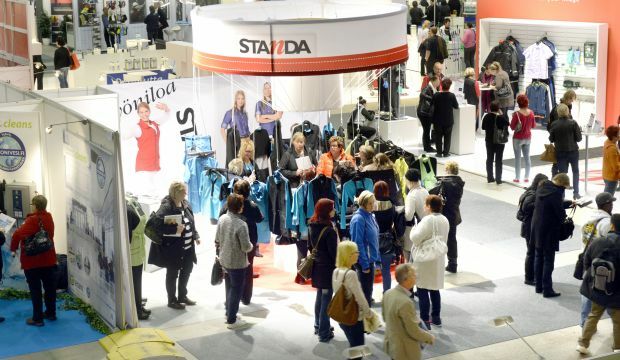 More than 8300 cleaning professionals attended the last Finnclean fair, which was held in autumn 2014. Since 2008, a fixture of the fair is the Cleaning Industry Professional award. The competition final will be held on Friday 12 May 12, and the winner will be chosen based on performance in both practical and written assignments. The competition was organised by the Finnish Association of Cleaning Technology SSTL, the Trade Union for the Public and Welfare Sectors JHL, Real Estate Employers, Service Union United PAM, and Service Sector Employers PALTA ry. The fair comprehensively covers reforms, changes, and the current situation in the cleaning sector. In addition to digitalisation and the steadily growing influence of smart technology, the concrete changes in conditions are the subject of debate and concern in the field. Solutions from a variety of perspectives are needed to meet these challenges. There will be a track for testing cleaning machines with different floor materials. And a practical window-cleaning workshop will introduce the latest tools, materials and methods for the job. The fair also focuses on how cleaners can help in fighting epidemics by using the right working methods. Other essential themes of the fair are work orientation, wellbeing at work, and a well-functioning working community and work atmosphere.